Nice comfortable room, the host was extremely nice and accommodating. 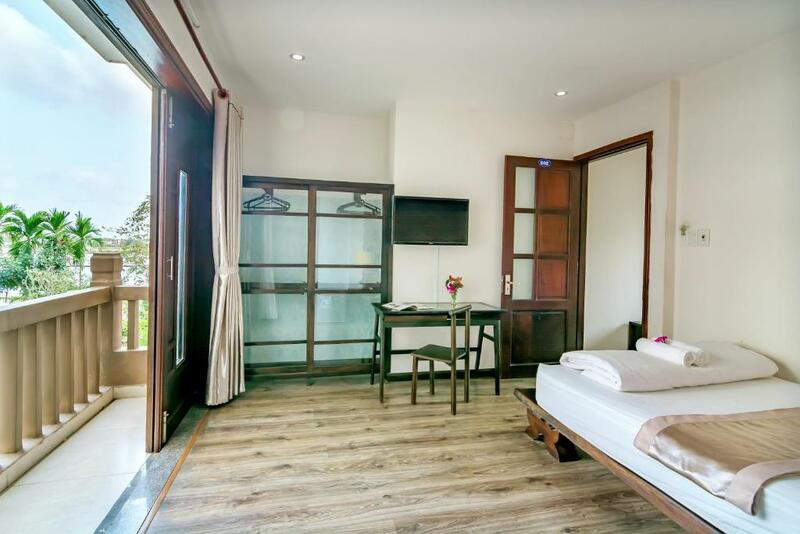 The guesthouse was walking distance to the major tourist areas as well as a great yoga studio. The hostess, Mrs. B'Lan herself, is the kindest most helpful woman. She's the best. The room was very nice and clean and the rain shower was a nice touch! Bike rental is free. It's just a short walk away from the old city. Highly recommend! 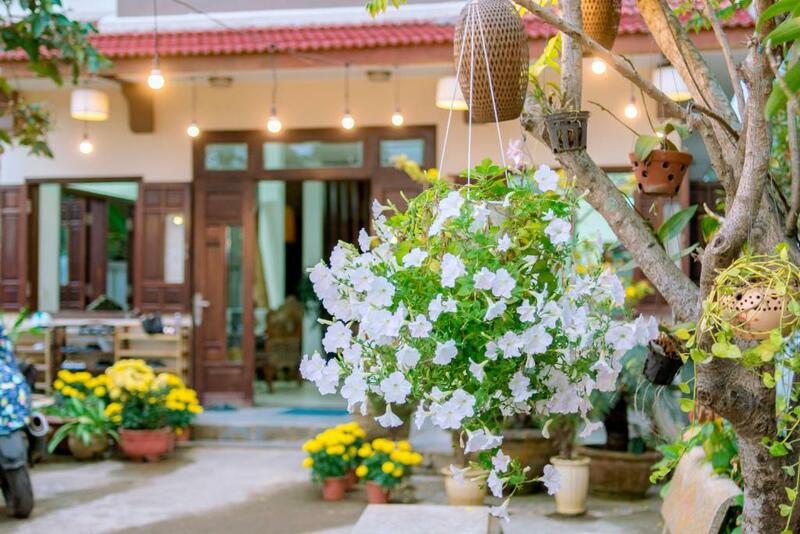 Staff is very friendly and location is very close to nightmarket and old town. It was clean, water boiling possibility was in the room. Bicycles were for rent (check them before ride!). Nice decor, friendly old couple, near to to old town, comfy bed. Clean, friendly personal & good location, few minutes to old town. We really found the beds super comfy and for the price its quite good. The host cooked us a fresh breakfast in the morning and they are really organised in the sense that you can always rent a bike from them or book a tour. The host also has the cutest dog on earth. Lock in a great price for B'Lan Riverside Villa – rated 8.5 by recent guests! 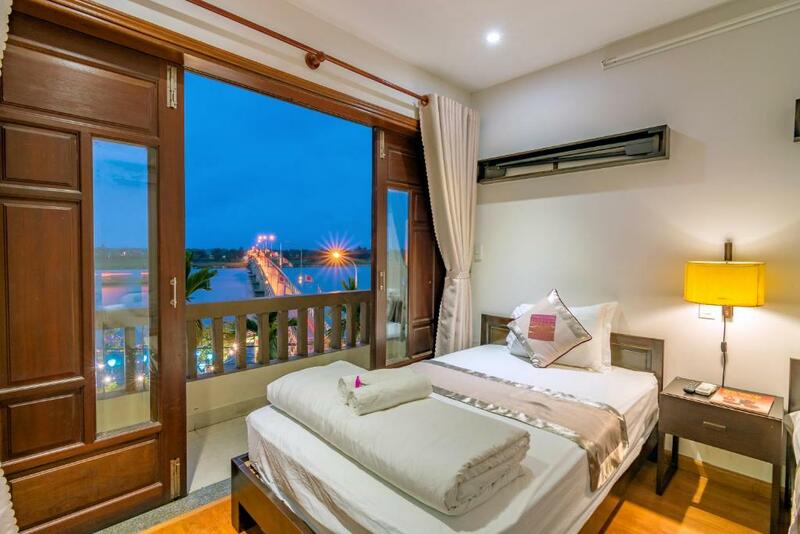 Located in Hoi An, B'Lan Villa offers self-catering accommodations features free WiFi and free parking. The property is 2,300 feet from Japanese Covered Bridge and Assembly Hall of the Cantonese Chinese Congregation. Guests can relax in a garden or terrace. The units have air conditioning, and a balcony. There is a kitchen, fully equipped with a refrigerator and an electric kettle. Private bathrooms come with shower, and free toiletries.. Guests enjoy beautiful views from the rooms. At B'Lan Villa, you can access to the shared lounge and shared kitchen. Activities in the surrounding area include cycling, fishing and canoeing. 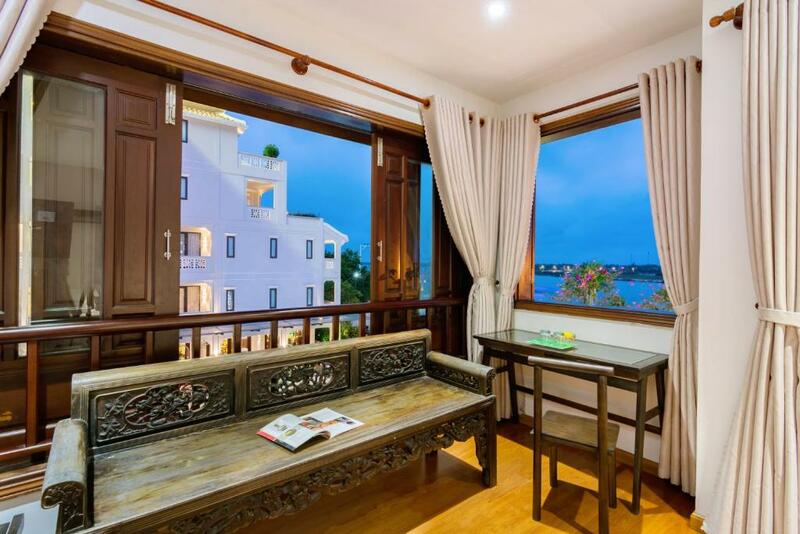 If you feel like visiting the surroundings, check out Hoi An Ancient Town and Assembly Hall of the Fujian Chinese Congregation, respectively 0.6 mi and 0.7 mi away from B'Lan Riverside Villa. The nearest airport is Da Nang International Airport, 14 mi away. 뀐 Located in the top-rated area in Hoi An, this property has an excellent location score of 8.5! 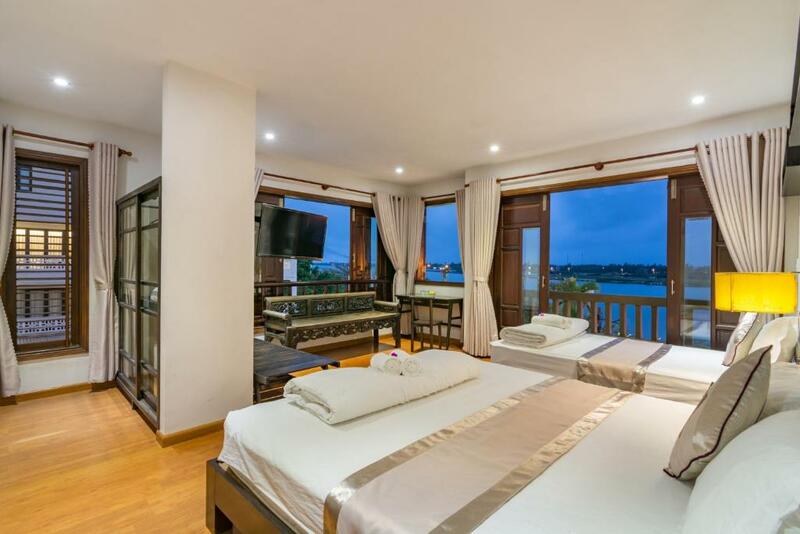 When would you like to stay at B'Lan Riverside Villa? This twin/double room features a tile/marble floor, private entrance and air conditioning. This family room features a balcony, seating area and private entrance. Located in Hoi An, B'Lan Villa offers free bikes. This self-catering accommodation features free WiFi. The property is 700 m from Japanese Covered Bridge and Assembly Hall of the Cantonese Chinese Congregation. The accommodation will provide you with air conditioning and a balcony. There is a full kitchen with a refrigerator and an electric kettle. Fitted with a shower, private bathroom also comes with a bath or shower and a bidet. Guests enjoy beautiful views from the rooms. 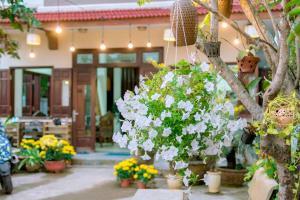 At B'Lan Villa, guests can enjoy a garden, a terrace and a shared kitchen. Other facilities like a shared lounge are offered. 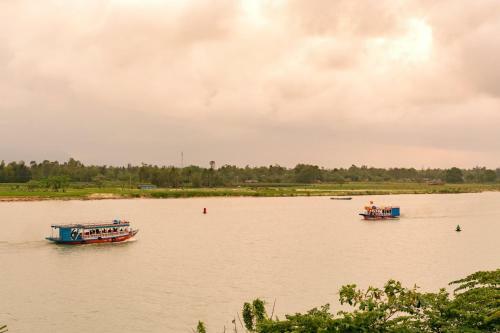 Activities in the surrounding area include cycling, fishing and canoeing. The property offers free parking. 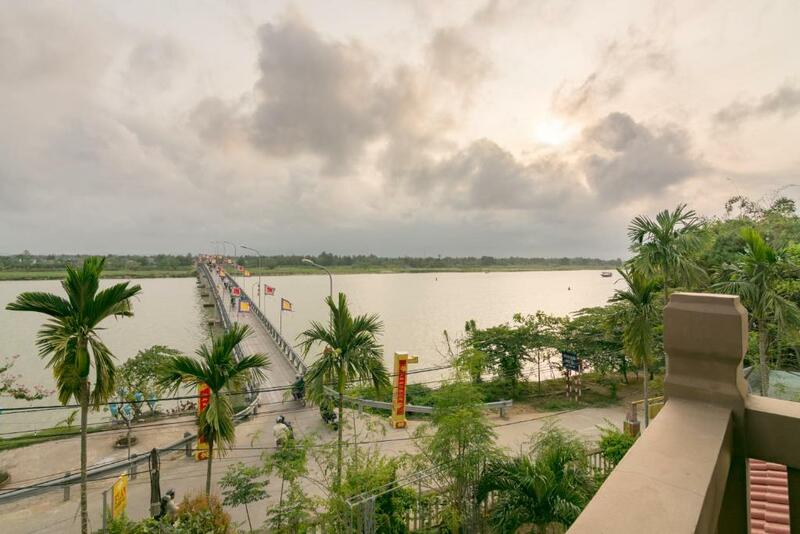 If you feel like visiting the surroundings, check out Hoi An Ancient Town 1 km away and Assembly Hall of the Fujian Chinese Congregation 1.2 km away. The nearest airport is Da Nang International Airport, 23 km away. Area Info – This neighborhood is a great choice for travelers interested in culture, atmosphere and old-town exploration – Check location Great location - show map Guests loved walking around the neighborhood! House Rules B'Lan Riverside Villa takes special requests – add in the next step! All children under 12 years are charged VND 81640.34 per night for extra beds. 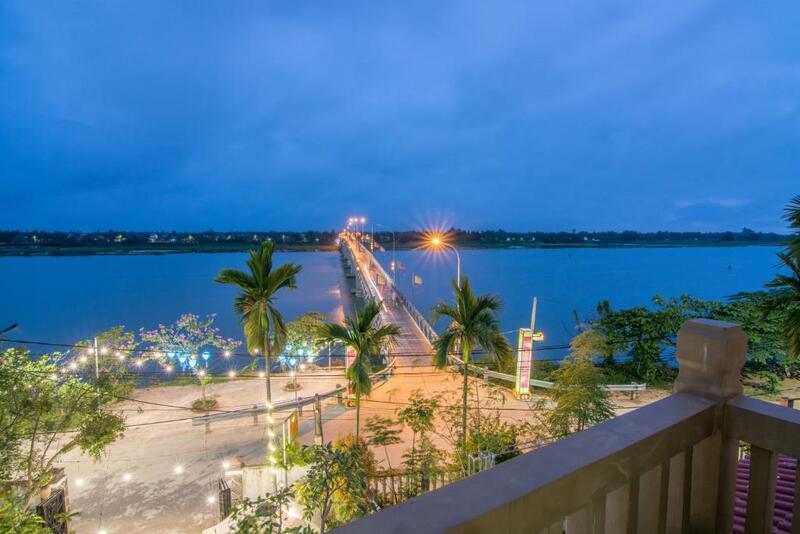 B&#39;Lan Riverside Villa accepts these cards and reserves the right to temporarily hold an amount prior to arrival. B'Lan Riverside Villa accepts these cards and reserves the right to temporarily hold an amount prior to arrival. Please inform B'Lan Riverside Villa of your expected arrival time in advance. You can use the Special Requests box when booking, or contact the property directly using the contact details in your confirmation. Everything was great except for one thing. There was a dog barking nearby early in the morning which can be a bit annoying if you don't want to wake up extremely early. There were a few red ants in the bathroom, but once we told them about it they cleaned it out pretty well. The bridge next to the hotel makes a lot of noise and the photos of the villa makes it seem like there is a pool, but it is actually the next door's hotel pool. The shower isn't separated out in the washroom so when you use it the entire washroom gets wet. If you request a top room - be aware that there is no elevator so you will need to drag your luggage up several flights of stairs (not terrible). Great location - not too far from the action but far enough such that it isn't too loud. Decent size room that provides good value for the price. Clean. Helpful host. You have to wait for a couple of minutes for the hot water in shower. Basically everything, location is great, everything is clean and nice, staff is friendly. Basic breakfast. No bedside lamps. Could do with towel rail being repositioned. Front of hotel susceptible to traffic noise from metal bridge. Very comfortable bed. Friendly, helpful staff. Short walk to Old town. Bicycles available. The bed was comfy, the host was so kind and helpful and the availability of scooters for rent added a ton of fun to our trip in Hoi An. We booked a deluxe room that showed amazing river views and I even emailed the hotel to confirm we would get a room with great river views. We booked 6 months in advance but on arrival were given a room with barely river glimpses and was quite small given we booked for four people. We were eventually offered a bigger and nicer room in a different hotel 25m up the road but then had to walk back to the original one for breakfast each day. The hotel is in a good location and the river view rooms if you could get them are probably amazing. The staff are very friendly and helpful so just make sure you're 100% certain they're giving you the room from the online photos. Excellent hearty breakfast, flavoursome eggs fresh fruit and more than excellent coffee!